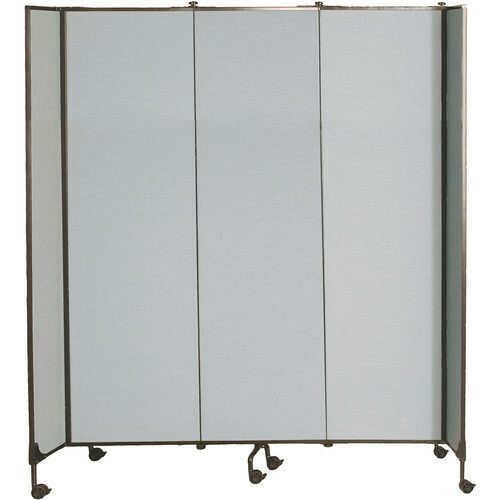 The Great Divide Mobile Wall Panel Set from Balt is an expandable three-panel, modular divider starter set with a height of 8'. The panels come fully assembled and adapt to the changing needs of any classroom or other educational environment. This set comprises three wall panels (each 32" wide) and two end panels (each 27.75" wide). The panels are made of tackable gray fabric, and framed in 16 & 18-gauge steel, and attached to each other by hinges that lock in a variety of angles for maximum flexibility. Dual-wheel 2" casters with spring suspension mechanisms allow you to roll your panel set to where you need it. 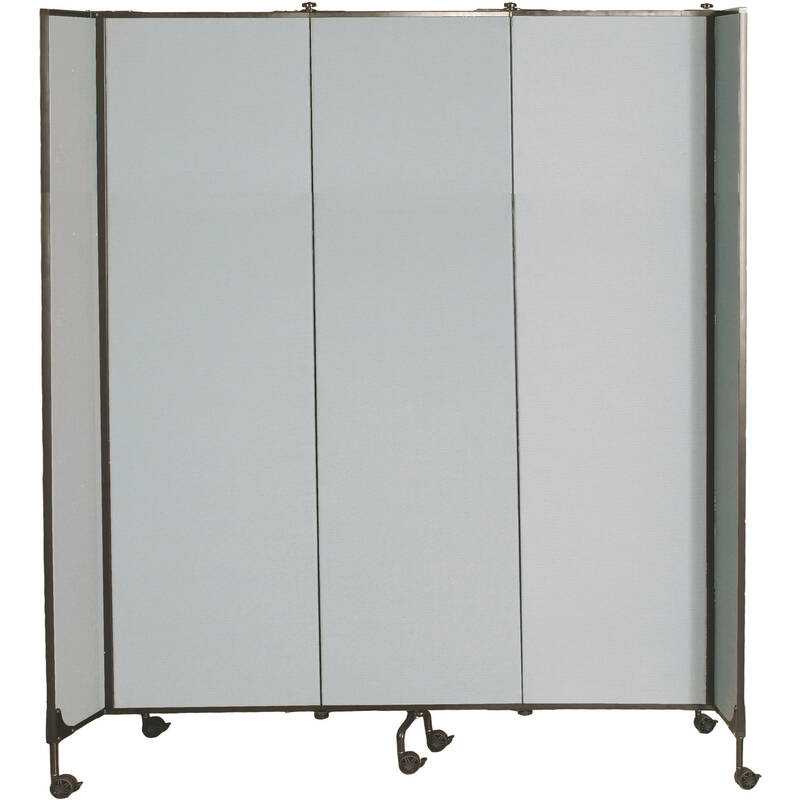 For added stability, the two end panels are equipped with locking casters.